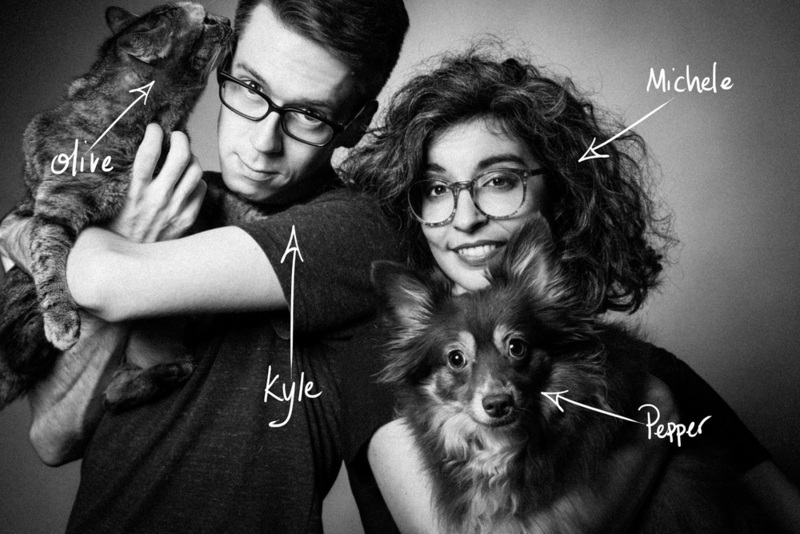 We're Kyle and Michele, and together with our studio animals we are the totality of ConnollyPhoto.NYC. You can reach out to us any time using FB Messenger, our direct email address, or the pop-up contact form below. We're looking forward to working with you, and Pepper loves you already. Olive can't wait to sniff your shoes. Thank you for reaching out to us! We'll be reading this and responding to you as soon as we possibly can. Looking forward to hopefully working together!